Fitting that the Georgia peach is in the logo for this year’s BIF, as we have learned throughout the conference that the industry has been provided with many types of “fruit” to choose form when it comes to our technology and genetic tools. Do EPDs work? Are you a skeptic? If so, you are not alone! Believe it or not there are still skeptics out there. 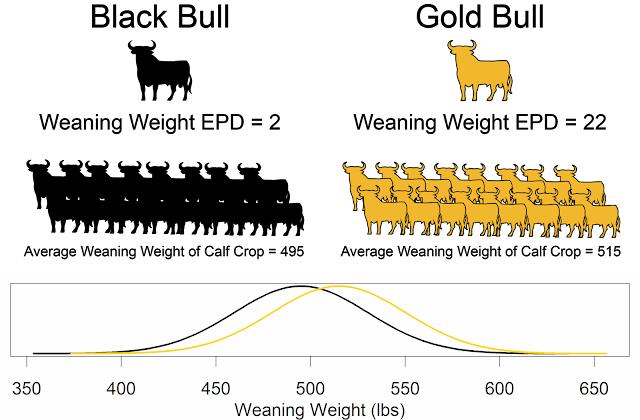 Numerous studies have been completed on carcass traits, milk, and weaning weight EPDs in the late 1990s and 2000s. After that period, the research coming out proving EPDs worth got a little sparse. Why? We convinced ourselves and our scientists that EPDs work, but skeptics remained in the industry. They wanted to belief in EPDs but still need to see more. This study was in conducted in conjunction with Gardiner Angus Ranch, Zoetis, and Top Dollar Angus. The field test wanted to make comparisons between high end $BEEF and low end $BEEF indices and demonstrate in a real-life setting that EPDs and indices work. All to prove that high value cattle could be created! 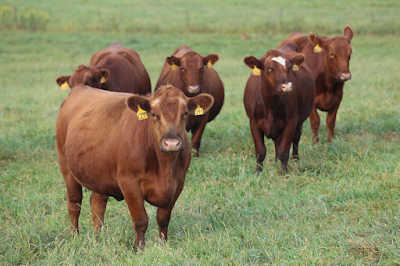 High $BEEF animals and low $BEEF purebred Angus embryos were implanted. The calves were born between April 8 - May 22. They were pastured with their dams through weaning and then put on wheat pasture and supplemented with grower ration until early June. They were then moved to a feedlot setting and placed on feed. There was a targeted equal fat endpoint - without consideration for age or day on feed. Study contained a total of 43 head. The results were High $BEEF outperformed low $BEEF counterparts in EVERY metric evaluated! The predicted pedigree difference was $93.69 between the two groups. Since the individual was being evaluated and not the progeny, the EPD values were multiplied by 2. The predicted difference per individual between high $BEEF and low $BEEF was $187.38. The value observed between the two groups was $215.47! Feeding to same fat endpoint high $BEEF cattle finished significantly quicker. This means money saved in feed, equipment, yardage, etc. They also had significantly heavier carcasses, were better marbled, and had more muscle but with no statistical difference in backfat compared to the low $BEEF individuals. $BEEF worked extremely well in projecting real-world value differences in purebred Angus cattle. Results suggest that, if anything, EPDs and mathematical calculations that drive $BEEF are conservative compared to current cattle market valuations. Actual value will always be a bit larger than the predicted! Use EPDs and indexes because they work very well in creating real-world performance and financial advantages.